OMG! 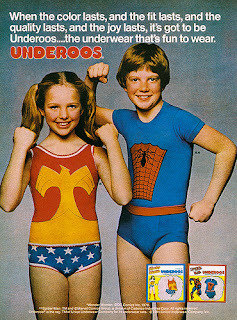 I totally had those Wonder Woman ones! I also had R2D2 (so awesome that they had R2D2 for girls!). A few years ago, they had a revival of sorts at Target. They had adult sized underoos, boxers actually with all the original characters! Alas, another one I missed!